Hydrotherapy cures Dengue in just three days. 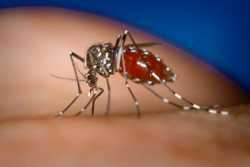 Chikungunya and dengue are just two of the diseases carried by this Asian Tiger Mosquito. And it is coming to Australia! If you want to start to feel really uncomfortable read (or listen) to ""Dengue Epidemic" replayed this month on ABC Radio National. This little mossie is called the "barbecue stopper" because of their nasty sting. Even their name, Aedes, means "unpleasant". The good news, after listening to that programme is that hydrotherapy treatments are effective for most fevers, I have had most experience with Dengue, but have treated glandular fever and childhood fevers. The first important point about treating fevers with hydrotherapy is to begin as soon as the fever is detected. It doesn't matter what actually causes the fever, hydrotherapy is effective for most. An early start means that the disease is resolved more quickly, decreasing the chance of the serious complications like cerebral malaria and haemorrhagic dengue. Patients also miss out on those non-fatal but painful bone and joint pains in dengue and chikungunya. Second, work out which sort of fever it is. In dengue (and all the other diseases mentioned in this post) it is commonly a Retention Fever with cold skin, shivering, goose bumps and chilly sensations. Treatment is similar to my previous post on Malaria. 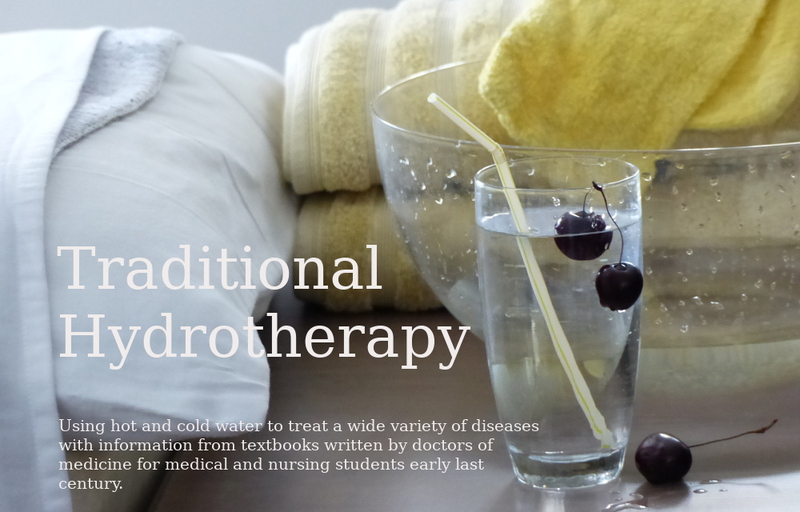 That is, a Sweating Treatment followed by a Graduated Tonic Cold, daily for three days. Russian Bath for 20 minutes, until sweating profusely, followed by Cold Mitten Friction, daily for three days. We never needed a fourth treatment as all the people we treated had recovered enough to leave hospital without any weakness or tiredness. This compares to the usual ten days in hospital followed by weeks of lethargy. Kellogg recommends using the Cholera treatment while febrile, which is a Hot Blanket Pack then Cold Mitten Friction. For Glandular Fever I used a Hot Tub Bath until sweating, followed by a Cold Shower. Once again this was daily for three days when the patient was fully recovered and returned to work. However you can use whatever Sweating Treatment is handy for you. The Sweating Pack is very good and Cold Pours are easily done after Packs and Tub Baths. One reason that these treatments are so effective is that they really boost the immune system. The white cell count is often trebled by the third day. This was confusing for our referring doctors initially, as they thought the patients were developing another infection, when the patients were feeling quite well and eager to leave hospital. Another important benefit of treating fevers with hydrotherapy is that the patient doesn't have to expend the huge amount of energy required to produce the fever needed to respond to the disease. It is a surprise to most people that fevers are a good thing (as long as they don't get too high). Fevers are the front line of the immune response to infection and the hydrotherapy treatments listed here push heat into the body, assisting the rise in body temperature without the body having to work so hard. This is why there is less weakness or prostration after a fever treated with hydrotherapy. I would love to hear of your experience with fevers so please leave a comment. A physiotherapist for 30 years, working in aged-care at present. I learned how to do hydrotherapy at Warburton Health Care Centre (Victoria Australia) in the early '80s and used hydrotherapy in Thailand, mainly at Bangkok Adventist Hospital from 1985 to 1990 then at Muak Lek Health Center until returning to Australia in 1993. In 1988 I visited many of the operating hydrotherapy units in the US and talked with practitioners. After that time I oversaw the building of two large hydrotherapy departments in Thailand as well as training the staff. As a computer amateur, I learnt a lot from the Linux Owners Group in Newcastle (LOGIN) and Westlakes Linux Learners. Thanks!